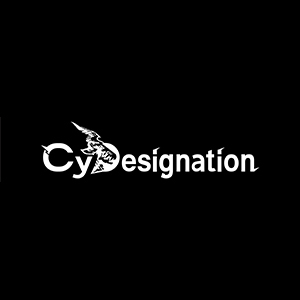 CyDesignation, the company that deals with the character design for Square Enix NieR:Automata and Cygames Granblue Fantasy and Rage of Bahamut, is looking for creators! If you want to work with them, definitely check this article out. 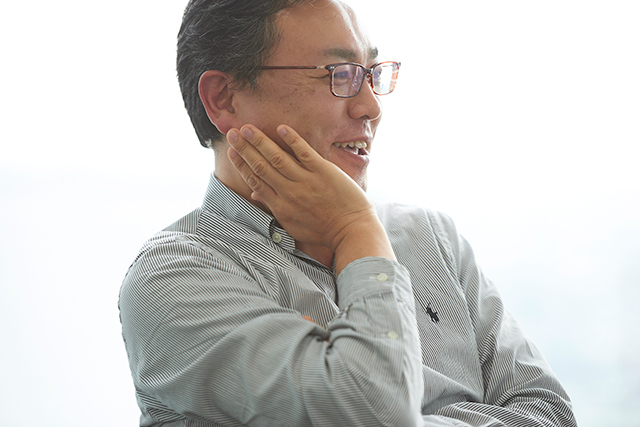 Today we had the pleasure to interview Akihiko Yoshida, CyDesignation Director and Art Director. 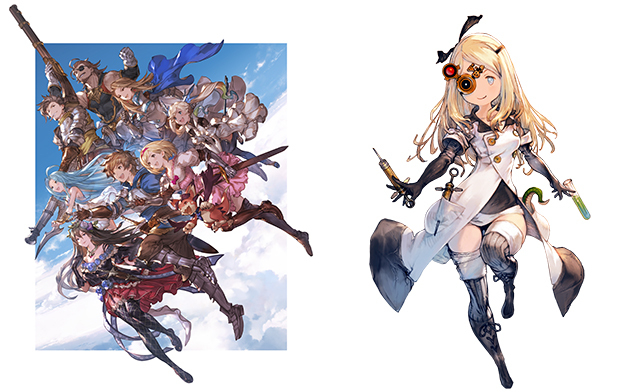 Akihiko Yoshida has worked as a character designer for Granblue Fantasy and Lost Order. 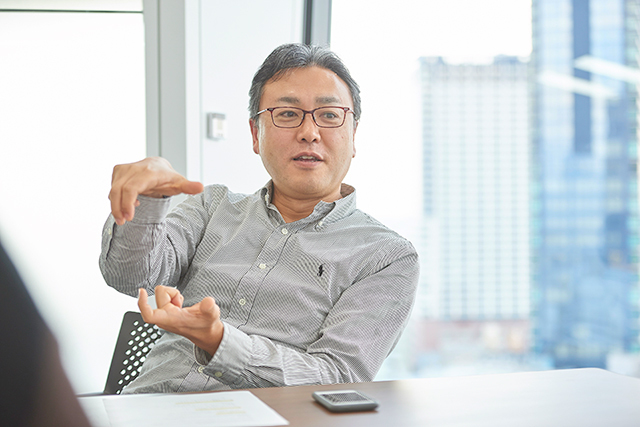 We asked him about what kind of atmosphere is prevailing inside the company, but we also talked about his creative philosophy. -- What can you tell us about CyDesignation? I heard our company was established because Minaba※, while working as a freelancer, realized how hard it is to create contents alone. He wanted to gather friends who shared his value, who could be deeply involved in a project, and increase the quality and completeness of the graphics he was creating. I met Minaba while I was still a freelancer, and was invited in this company with this premise. 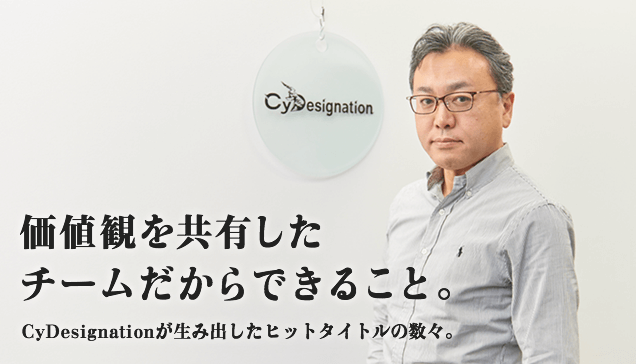 ※ Hideo Minaba, CyDesignation CEO. Art director of Final Fantasy VI, Final Fantasy IX, Final Fantasy XII. -- What are CyDesignation's most representative titles? Well, we worked with the character design and background design for Cygames Granblue Fantasy. Other notable titles are Rage of Bahamut, Shadowverse, Little Noah... 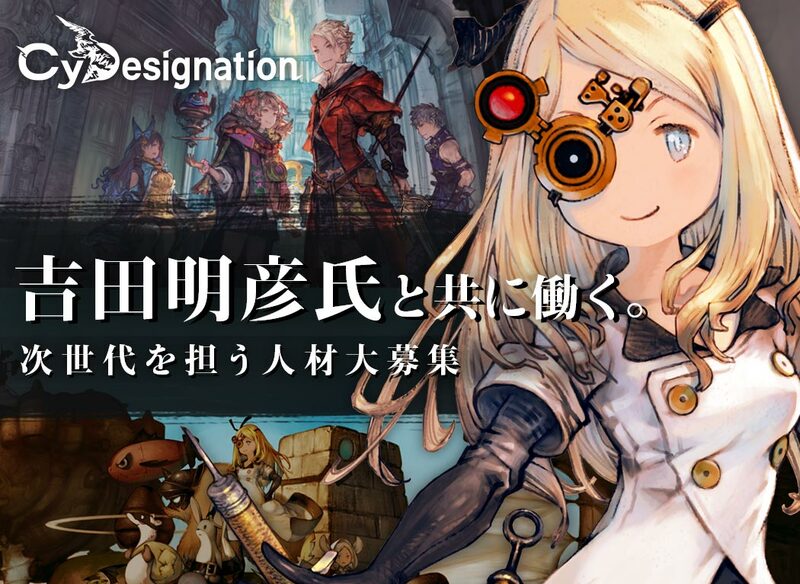 Currently, we are involved in the creation of Lost Order, which is a pretty huge project. -- Your name appears in an uncountable number of titles. Well, I am also involved with titles related to my previous jobs. I was in charge of the art design for games such as Final Fantasy XII: The Zodiac Age, Final Fantasy XIV, NieR:Automata and so on. As a slightly different initiative, I was also in charge of the art direction of the image of Ise Shrine, in occasion of 2013 Shikinen Sengu (transfer of a deity to a new shrine building once in a prescribed number of years). 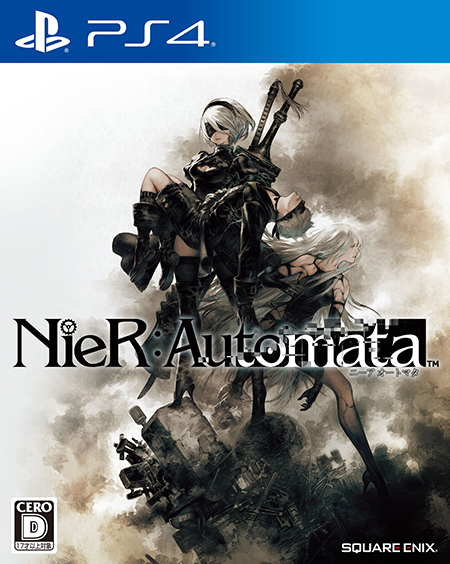 ▲ PlayStation®4 RPG NieR:Automata by Square Enix is now on sale. 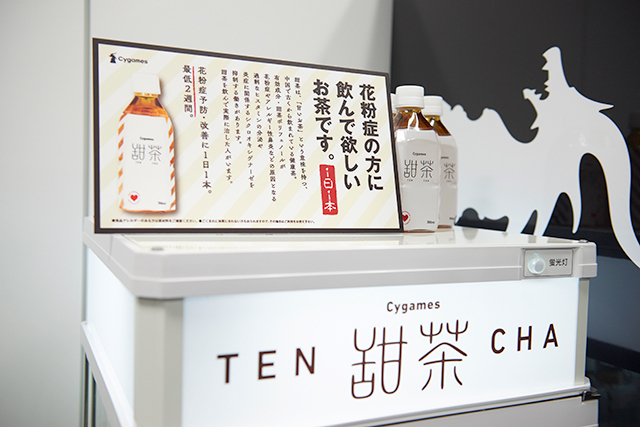 Yoshida designed the package cover illustration, together with the main character. -- You worked with so many titles...! Which members of CyDesignation are you currently working with? Hideo Minaba, Ryosuke Aiba, Atsushi Kawasaki and I are the four CyDesignation directors, but we also work as art directors and character designers. Under us, there's Sotaro Hori, who is in charge of Granblue Fantasy background design, and designer Yuya Nagai, who you interviewed in your past DESKWATCH issue. There's also another creator, Ryuji Ohara. We are the representatives of the next generation of creators. -- Tell us about you, Yoshida. How did you start working here? Before working with video game companies, I used to work as a graphic designer at a regular design company. But then I realized that I wanted to draw... I've been dreaming of becoming an illustrator or manga artist since I was a child. Still, at the time, there wasn't much request for illustrators or manga artist. It was nearly impossible to make a living out of it. I saw a recruitment ad for a video game company, and even though I didn't really care about games back then (laughs), I decided to give it a go. The company was Quest Corporation. -- Quest is the company behind Ogre Battle and Tactic Ogre, right? Did you start working with Ogre Battle: The March of the Black Queen right after you joined? 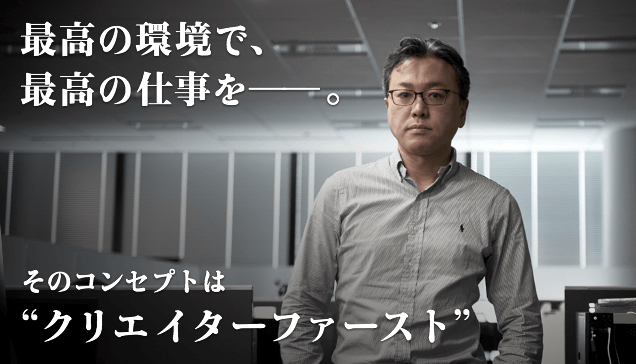 No, I started working in the Super Nintendo & PC Engine era※! The first project I worked with was Musashi no Bouken, published by Sigma Ent. Inc. I was a monster designer, and at the time you wouldn't just pass on your designs to a pixel artist: you had to be the pixel artist. For this reason, I was both a character designer and a pixel artist. ※ Ogre Battle: The March of the Black Queen was released in 1993 for the Super Nintendo. The game features plenty of unique characters and allows you to organize and arrange your favorite units in order to proceed with the story. ▲Contrary to popular belief, analogic analog art is still a thing. Yoshida is often using 0.3mm mechanical pencils and kneaded erasers. He also introduced us to his favorite erasers, that apparently "erases a lot"! At the time, the game industry didn't make any difference between concept artists and art designers. When I used to work at Quest, it was perfectly normal to ask illustrators to design covers for different products. When it came to low-cost titles, illustrations weren't that high-quality as well. We decided that we might as well start to draw them inside our company, and that was how we began to produce our own art. It truly was a professional conversion point. -- What titles did you work for when you moved to Square (now Square Enix)? The first title was Final Fantasy Tactics. I was a designer, but I only worked for the character design. I didn't touch the pixel art, this time, nor the machines. When creating a pilot mode, I was trying to create a CG as a test model, but my real job was exclusively art related. In the next title, Vagrant Story, I was working with both the art design and the machine itself. You know, you end up getting bored when you only draw all the time... After all, I entered this world as a graphic designer - it's only natural that I like working with the in-game screens and such. In Vagrant Story, I supervised the background models, tweaked the polygonal models myself and created and adjusted textures. ※An RPG for PlayStation released in 2000. It's the only PlayStation title that managed to get a full 40 points on the gaming magazine Famitsu. 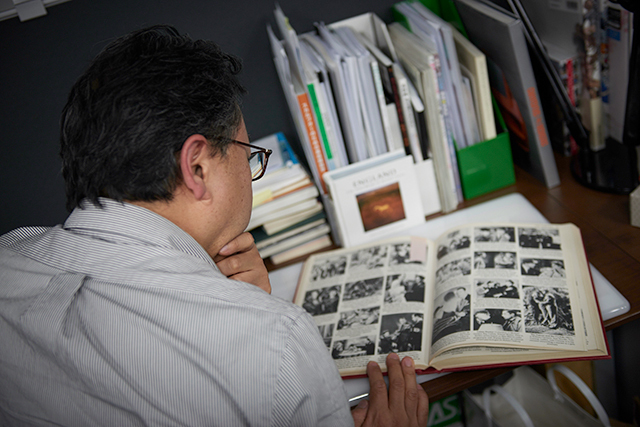 ▲Yoshida's bookshelves contain books that he cherished since the era of Vagrant Story. He nostalgically opens one of them following a discolored sticky note, and murmurs "Ah, I used to look at this all the time when I was worried over something"
At the time, it was impossible to make a picture you designed directly into a polygonal model. Due to the limited number of polygons and textures, there were many times where the design could not be reproduced as it was. At the time, I modified the model directly and changed the design. The reason why the first character design for Vagrant Story is different from the final version is that I intervened directly on the polygonal models, changing them. -- It's incredible to think it was up to character designers to create and adjust polygonal models! It was an everyday thing for designers, back then! We had to be able to do everything by ourselves, if necessary. I supervised the background models in Final Fantasy XII as well. It was only for a short period of the development period that I was dealing with character design and illustrations. -- After that, you started working as a freelancer before joining CyDesignation. Exactly. At the time, the expressive and graphic powers of smartphone apps were almost identical to those of a PlayStation 2. I remember sitting at a table with the others, and I was told: "If you come to this company, you will be able to do what you enjoy the most." That was the main reason why I decided to join CyDesignation. 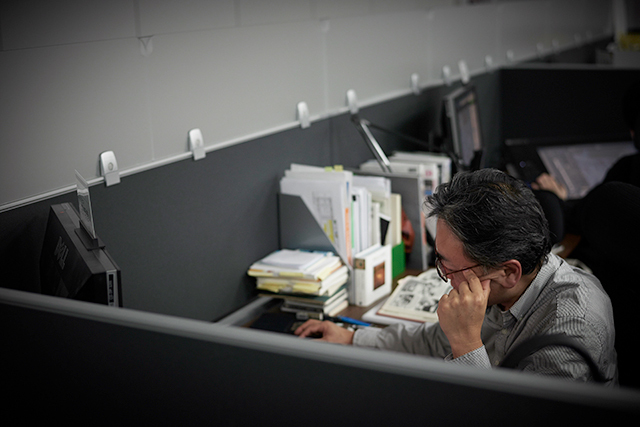 ▲ "Since I had to work", Yoshida told us, "I decided to choose the most interesting place for me. And that place was CyDesignation". -- If you had to put it as simply as you can, what kind of company is CyDesignation? It's a company that includes many artists with interesting personalities. However, in the future we would like to incorporate 3D artists, planners, programmers and to make our company even stronger. -- What's the atmosphere like inside the company? The lights are a little bit dim. Since we are using liquid crystals tablets, we had to remove the lights from the ceiling in order to reduce the reflections. Still, the environment got a little bit lighter compared to the last time you visited. Everyone is always drawing in silent, so the company is often very quiet. 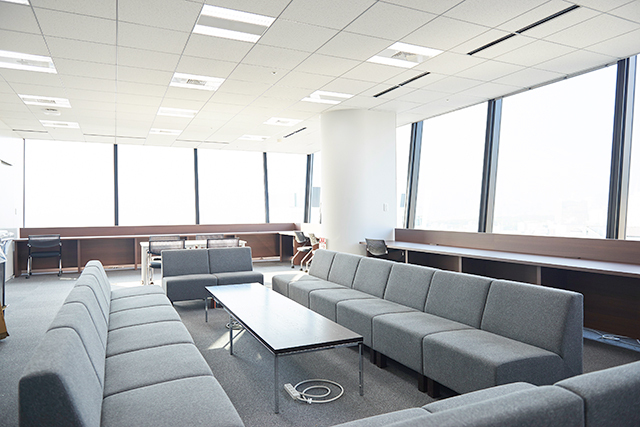 However, since it's not a huge company, the atmosphere is always very nice and relaxed. We're on the same floor as Cygames, so sometimes we have the chance to work with other creators. It's a beautiful occasion to get inspiration and find the motivation to work even harder. -- What a nice environment, one that allows you to get inspiration from fellow artists! What about the available equipment? We have the latest PCs, which are very high-performance. We all work with Windows, for reasons related to maintenance and inspection. When it comes to tablets, you can choose whatever you like. Regular pen tablets, LCD tablets, their size... You can make your screen into a dual-monitor if it's your cup of tea. Some people also have three monitors! Of course, you can also choose whichever software is most comfortable to you. Photoshop, Painter, CLIP STUDIO PAINT, SAI... Whatever you like! There also are some system management experts regarding the maintenance of the equipment, so you don't need to worry about it at all. Since the equipment is always kept in perfect condition, even those who aren't very good with computers can relax and only think about drawing. -- It all sounds amazing! You also use Aeron chairs, which are said to be the most comfortable out there. But there's one thing I couldn't help but notice when I visited your company... Are drinks free!? 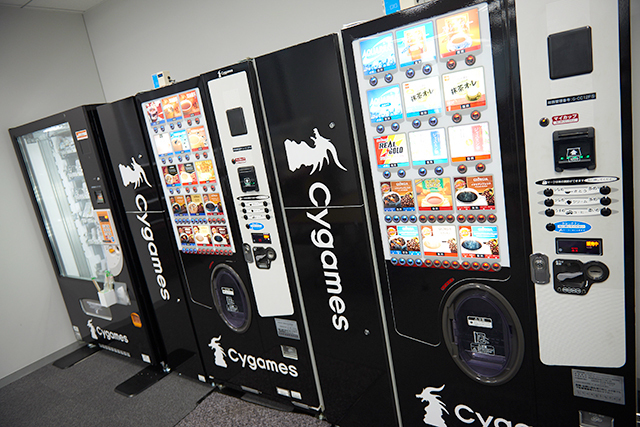 Our vending machines are shared with Cygames. They are all free, and you can drink whatever you want. There are so many kinds of them. ▲These magic vending machines don't need money to work. Just choose your favorite drink, and you're all set! -- What can you tell us about meals? A company is coming to sell their bento boxes every day between 13~14, our lunch break. Bento boxes are partly paid by the company, so we can get them for amazingly cheap. It's one of the many Cygames perks. ▲A recreational room attached to the office. Its open design makes it perfect for a change of pace. By the way, the view is amazing as well. 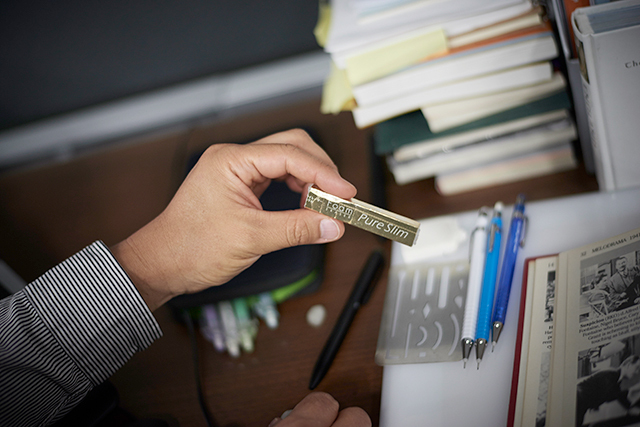 -- Another question: can you have snacks at your desk when you're just a little bit hungry? -- Tell us about your employment system. For example, what time does the company open, and what time does it close? It changes depending on whether you're a regular employee or if you're part of the crew on a consignment contract... As a rule, we start at 10 and finish at 19 - but in the case of outsourcing, working hours are flexible. Nonetheless, if you're working on a project with a team, we would like you to come in at 10 in order to participate the regular morning meetings. ▲This sweet tea is available for free in the recreational room. It is said that it's very effective against hay fever... Gimme gimme!! -- Tell us about the communication between members of a certain team. Do you have regularly scheduled events? We have a regular monthly meeting, where the whole company has to attend. There are also several meetings to report about each project, and on the same days, we usually have drinking parties... Or dinner parties. -- It sound like a lot of fun! By the way... How about the fees for those dinner parties? The cost for all dinner parties is fully covered by the company. We usually choose a different shop every time, and various people are taking turns to be in charge of these events. There was a time when the president insisted on going to a bizarre foods restaurant... It was a lot of fun! -- What a beautiful tradition... What if you had to sum up the beauty of CyDesignation in a single expression? I would have to say creators first. By growing the individuality of each creator, the company also grows as a group. I think it's a very comfortable and rewarding company. -- Creators first is a very nice motto! Listening to your words, I had the impression that yours is the ideal company for any creator. How about summing up the reason that brought CyDesignation to collaborate with pixiv for your imminent recruitment campaign? We've been recruiting from the company's official website for the longest time, but we didn't receive many applications... (laughs) It seems that not many noticed that we are actually recruiting. 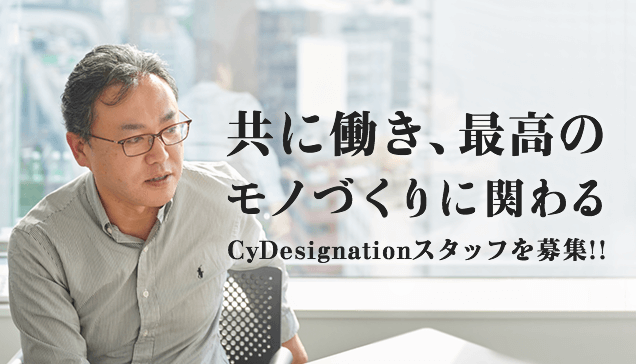 -- Both executives and creators working at CyDesignation are prominent figures in their field, so prospective candidates might feel intimidated. Of course, you should be familiar with the basic drawing skills, color theory and so on... But the most important thing for us is to find someone who really enjoys drawing. I personally feel that if you really like doing something, it won't take long before you become a pro. By the way, I'm the opposite. Rather than drawing, I prefer looking at my favorite works by other artists... And I have a feeling that makes me better, as well. -- Is this one of your many special talents...? But I agree that looking at inspiring artworks might help to develop your skills. Exactly. Just because you're a video game designer, it doesn't mean you should only look at video game art. In order to be different from others, you need to increase the number of artworks and styles that you look at, and try to find something special that no one else has ever found. It's also important to look at various technologies, even those that aren't currently used in video games, because those same technologies might become a part of them really soon. -- You have witnessed the technological evolution from Super Nintendo to PS4, so your words are very convincing! What did you do when you were younger to increase your skills? I used to look at artworks and paintings with great attention. In the Super Nintendo area, I couldn't transpose those artworks inside a game yet. However, I knew it was what I wanted to do ultimately. I challenged myself to create game screens that I'd never seen before... And many times I just gave up, even though technological evolution would soon follow and make everything possible. Technological growth has made it possible for games to include photographs, not only artworks. -- You said you were observing paintings with great attention. Did you visit many museums in your life? No, I bought a lot of books. If I have them approved by the company, they will pay for them. However, I wanted to keep them myself - so I paid for them out of my own pocket. Also, I used to buy many overseas fashion magazines from secondhand bookstores and use them as a reference for costume design. -- I see! By looking at so many books, your horizons expanded. I have the last question for you: what projects do you have in store with the team of people you will hopefully recruit? I think it will depend on the skill and personality of the person we will hire. We have no rules about what kind of work everyone will eventually do. We may promote one project with a team formed by veterans, middle-ranked and youngsters, and if some new guy is the best choice for character design, we might leave it up to him or her. ▲ Yoshida &amp; Yuya Nagai, who worked together on the design of NieR:Automata. This shot succeeds to transmit the carefree atmosphere inside the company. I think it's important to create the right place for the right people, so when working on a new project we always try to think who would be most indicated for certain roles. We don't like using just "people with free time". We want people who are suited to work on a particular project. For this reason, we're not only looking for 2D artists. We are ready to welcome 3D artists, programmers and so on - as long as they're suited for our projects. If you're good at one of these things, you should consider applying! -- Thank you very much! All those who are interested in applying for a job at CyDesignation, please check out the application form in the link below! Entry is closed on Sep. 25, 2017 15:00 (JST). 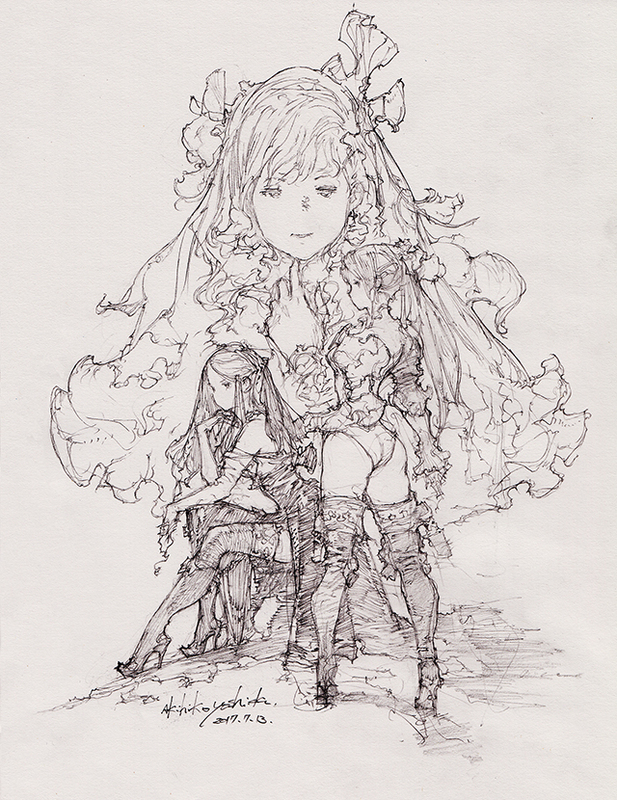 [World Premiere] An exclusive illustration by Akihiko Yoshida! After kneeling down before Yoshida and begging him... No, discussing with him the possibility of having him draw something for us... He accepted!! He drew a 1 hour illustration just for us, and we condensed it into a 10 minutes video!! This really took only one hour, with a few breaks...!! The tension was so high that the entire staff almost forgot to breathe to the skillful artist brilliantly working his brush. The sticky note you can see at the end of the video is by Yuya Nagai, by the way. This workplace looks like a lot of fun indeed.